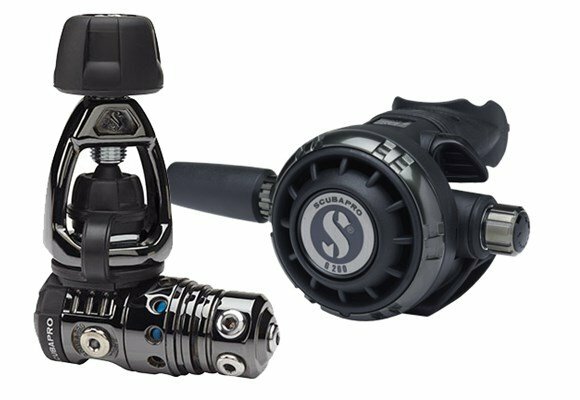 Technical divers will love the solid breathing performance and proven reliability of this noted reg combo. No doubt about it, the MK25 EVO/G260 BLACK TECH is a serious reg system designed for the most demanding divers. The air-balanced flow-through piston-style MK25 EVO BLACK TECH is consistently ranked as the top-performing first stage on the market. Its patented Extended Thermal Insulating System (XTIS) lets you enjoy an ultra-fast breathing response, instant delivery of air on demand, great sensitivity and extra-high airflow - regardless of how cold the water is. Add the fins on the machined body that provide extra thermal exchange and you have the ultimate first stage for all water temperatures. With the G260 BLACK TECH SCUBAPRO engineers have taken the most imitated air balanced second stage design of all time and offered it with a rugged, nylon fiberglass casing with freeze-resistant components and fitted with a dark anodized aluminum ring. Inside you have metal components (inlet tube, orifice, inhalation control knob and hose connector) to ensure excellent cold-water performance. 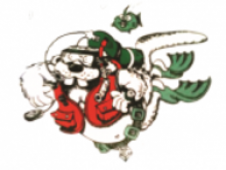 It also offers a left-right hose attachment option, making it a great choice for tech diving configurations. Both first and second stages have a BLACK TECHscratch-resistant coating that protects against the ravages of salt water and corrosion. This durable coating includes an inner layer of chemical Nickel (FDA approved) and an outer glossy DLC (Diamond Like Carbon) finish. It's a rugged reg system that delivers solid breathing performance in all diving conditions and water temperatures. It's a serious balanced piston breathing system that's as tough as it looks. You can count on this outstanding reg to deliver top-of-the-line performance in all diving conditions and water temperatures, no matter how hard you're breathing, how deep you're diving, or how cold the water gets. Patented XTIS (Extended thermal Insulating system) fully insulates the inner mechanism from the environment, improving cold-water resistance by 30% and delaying ice formation in extreme cold-water conditions without com- promising breathing performance. New spring insulating coating, body insulating bushing (non-metal cylindrical interface separating metal parts from water), anti-freeze cap, bigger body and cap thread all work in concert with the XTIS to improve cold-water performance (key insulation system components are visible in blue). Weight: INT 232 (oz/g): 27.9/790. Airflow at 2900psi/200bar: (l/min/ SCFM): >8500/301. Nylon fiberglass design features SCUBAPRO's biggest second stage casing and diaphragm for the ultimate in breathing sensitivity, regardless of position in the water. Dark anodized aluminum front cover ring adds scratch resistance without adding weight. Venturi-Initiated Vacuum Assist (VIVA) dive/pre-dive switch pre- vents free flows in cold water or when used as an octopus.